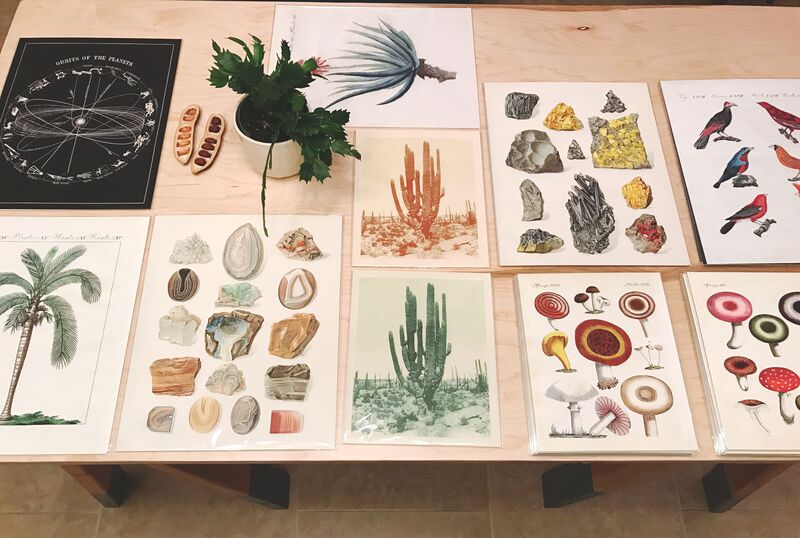 I print all my work in my Los Angeles, California Studio. I use archival pigment inks and print on 100% cotton Fine Art paper which has a beautiful textured finish similar to watercolor paper. Every print is individually trimmed by hand and carefully inspected before packaging. I have extremely high standards for a perfect print and will often make 2-3 prints before being 100% satisfied. What is the paper like? I print on only the highest quality fine art paper made from 100% cotton (no trees!). It has an extremely matte finish and is an archival heavyweight 255gsm fine art paper with a touch of texture similar to watercolor paper. There are no brightening agents (OBAs) or plastic mixtures — just cotton, the purest form of cellulose. The paper is mould-made in England and has a delicated texture made with a traditional process using natural woolen felts, which gives it a lovely random quality. Most other prints available online are made using lesser papers but I invest considerably more into my paper and process because I’m obsessive about the quality of my prints. I can print very large prints (up to 44″ x 70″) so feel free to contact me with custom sizes. I will ship USPS priority or first class depending on weight and the options you choose during checkout. **If you choose FIRST CLASS, USPS doesn’t usually update the tracking information and it takes about a week or so, sometimes longer, but it’s cheaper. **If you choose PRIORITY MAIL, then your tracking is updated along the way and usually takes 2-3 days to most locations, but is more expensive. I am happy to ship orders internationally but please be familiar with your country’s customs and VAT fees. These fees are not factored into your purchase as I have no way of calculating them. The buyer is solely responsible for all Customs and VAT fees that may be applied to your order. The post office of your country will often hold international packages until you pay the custom fees so please be aware of this. This is common in the UK and EU. Thank you. Unframed prints will ship within 1 – 4 days. First Class Domestic typically takes 3 – 5 days and Priority Domestic usually takes between 1 – 3 days. International shipping varies depending on the country but I’ll usually try to ship international orders out as quickly as I can to compensate for the additional travel/customs time. We now accept payment by Credit Cards, Amazon Pay, or Paypal. You can also visit my ETSY shop. You can order through this website or through my ETSY Shop. Wholesale can be placed by emailing me at molly@capricorn-press.com or through my ETSY wholesale shop here. Please contact me with any issues regarding an order you have placed. I will send you tracking info once the order has shipped. Due to the delicate nature of paper, I don’t resell any prints that have been handled by anyone except me and my white gloves. However, please contact me with any issues – I want you to be happy with your print – and we will work it out.